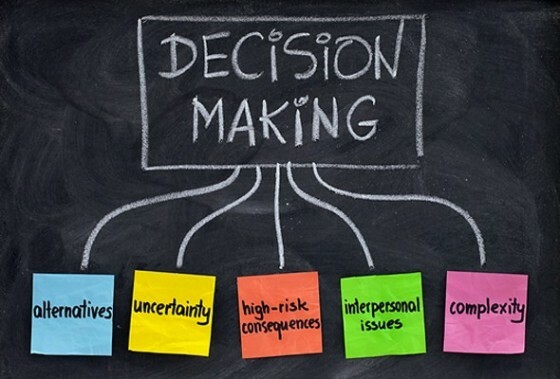 Continuing our series of posts about decision-making, we’re talking here about important things to get right in decision-making, before we explore the relationship between consensus decision-making and voting, and when to use different methods. Do please let us know what you think. Stakeholders are defined as the people who make things happen, are affected by the outcome, or are well informed about the background. Great damage can be caused when stakeholders are left out of decision-making. Community forestry groups (CFGs) in India and Nepal are village bodies, set up to manage forestry commons sustainably. They were created because local forests had been severely degraded by unregulated harvesting. A few years later, the forests were flourishing once more. This success came, however, at great cost to women. The male-dominated CFGs failed both to take account of the needs and values of the women and to make use of the information that women had, and which men did not. Half the CFGs surveyed by a researcher called Bina Agarwal banned the collection of fuel and fodder from village forests. In fact this ban was unnecessary. As the women could have told them, the forests could support wood gathering if more of it was gathered from the right sort of trees. Women know this, and men do not, because women have the task of gathering firewood for cooking and heating, and fodder for farm animals. The result of the ban is that women in these villages have to travel much further to find what they need. Where they once needed only 1-2 hours a day for this task, they now need 4-5 hours. They may need the help of their daughters, so they take them out of school, harming their education. They have had to resort to alternative fuels, such as dung and dry leaves, which require constant tending to keep alight. This increases both cooking time and air pollution in the home, which affects women more than men because they spend more time indoors. So, work out who your stakeholders are, and make sure they are included. A group meeting to improve hospital discharge developed a sort of mantra – ‘No Elders, No Meeting’ – to ensure that this critical stakeholder was not forgotten. Read more about this in the first post of our series, ‘making the topic part of the discussion’.